May 20, 2014. China is a high growth market for international dairy products. In the first two months of 2014 for instance, imported milk powder sales in China rose by 79.3 percent from a year ago. New regulations seem to further alter the playing field for milk powder brands in favor of major foreign companies, which together made up 54 percent of the Chinese market in terms of sales revenue in 2013. A recent state sanctioned release announced on May 1, 2014 said that, "from now on, non-registered offshore production of dairy food may not be imported". This immediately bared all but 41 foreign makers of infant milk formula from selling in China and opened up precious shelf space in grocery stores in the intensely competitive infant formula market. This appears to give foreign brands the chance for greater market penetration in China, but also raises several key questions. 1. Are Chinese regulations set to favour local producers in the long term? There is reason to believe that the increased regulation by Chinese authorities is ultimately meant to create greater opportunities for local brands. Historically, other highly lucrative industries in China previously dominated by foreign players have seen market interventions by the central government in favor of local businesses. The Chinese National Development and Reform Commission (NDRC) has seen to it that domestic companies are being encouraged with financial incentives and access to political backing while foreign companies have to navigate targeted regulations and restrictions. Sanyuan for instance, has secured RMB 10 million (USD 1.6 million) in financing by a local municipality. Beingmate has made strides to develop its marketing channels and restructure its business, in order to strengthen its market position. Local dairy producers are no doubt, ambitious and have their eye on capturing greater market share. These new regulations help to give both foreign and local brands a chance to capture market share but for the time being, the memory of the 2008 melamine incidents in China and favorable laws for domestic diaries help bolster Chinese consumers’ preference for foreign dairy brands. 2. Will the regulatory framework help improve food safety? 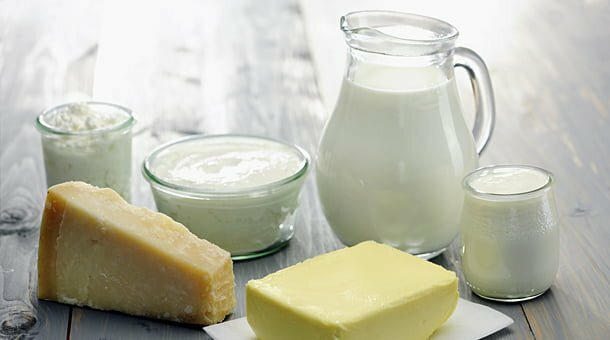 In the case of local producers, the NDRC with the Ministry of Industry and Information Technology (MIIT) has allocated RMB 30 billion (USD 4.75 billion) of credit access for a small handful of local dairies in order to drive consolidation and increase quality control. 3. Are foreign or local companies better positioned to increase market share? Both foreign and local companies hold valuable cards that will allow them to capitalize on the recent market changes. Foreign companies, known for quality assurance, will be able to leverage the current demand for their products over local brands. Local companies will be able to leverage their relationships with local distributors, suppliers, and logistical operators to lay claim to the newly available shelf space in a timelier manner. The dairy market is being driven by brand confidence and the new regulations do not address that. Thus, with the exception of a slight consolidation, the new regulations are set to favour foreign dairy importers until public confidence in local dairy producers grows.